Ronald Dunn is a teacher who specializes in helping believers pray more effectively. This work is an inspiring look at how you can pray with greater purpose and power - for your own needs, as well as the needs of others. 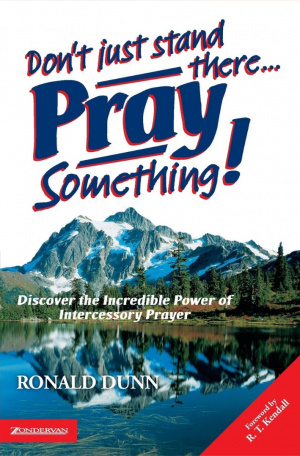 ;The book aims to dispel the myth that only "super saints" can pray successfully, pesenting a fresh perspective on how God answers prayer, why our "position" is more important than our "petition", and reveals the "secret weapon" God has provided for praying believers. Don't Just Stand There, Pray Something by Ronald Dunn was published by Zondervan in June 2001 and is our 14472nd best seller. The ISBN for Don't Just Stand There, Pray Something is 9780007118793. Be the first to review Don't Just Stand There, Pray Something! Got a question? No problem! Just click here to ask us about Don't Just Stand There, Pray Something.